Do you remember the story of brave Anaya in a previous blog article? She’s the young woman from India I introduced as my inspiration for the whole concept of Pink Belt Scholarships. 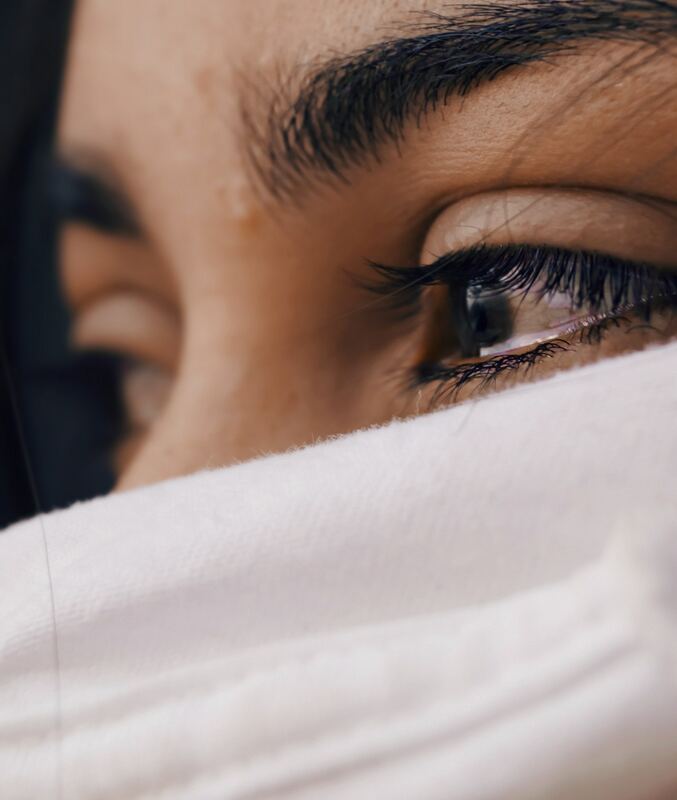 Last year she was forced to quit Taekwondo because she could no longer afford the fees after escaping a violent marriage and living on her own. Her spirit crushed, she felt utterly worthless and close to giving up on life. You can read her story here . 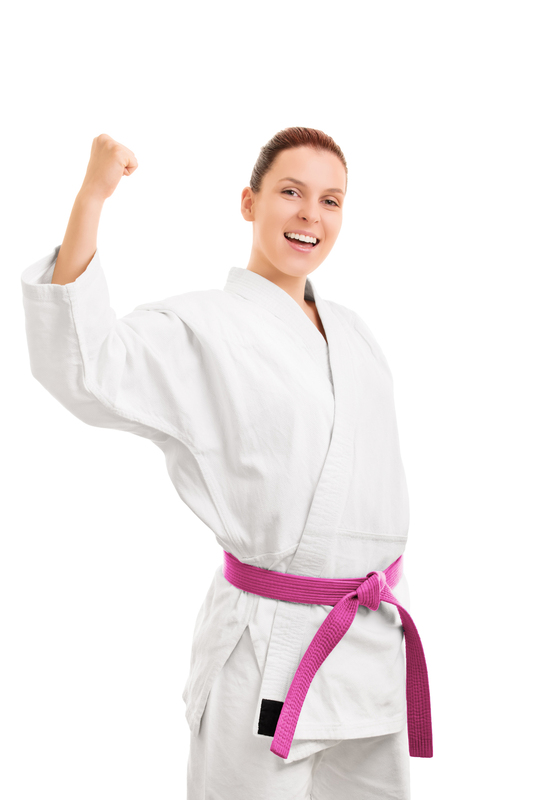 When invited to apply for a Pink Belt Scholarship Anaya was at first reluctant. Her spirit might have been crushed but the proud warrior inside was not yet entirely defeated. She was sure there would be others more deserving than herself. And when she felt strong enough to get back up again, she wanted to do it herself. And she would have. But with thanks to her Taekwondo team mates, she was eventually convinced that sometimes accepting help when it’s really needed, was a sign of strength, not weakness. Strength is something this woman has in spades. So in February, having been awarded one year of free Taekwondo through Pink Belt Scholarships, Anaya put her dobok on again and returned to training. Last week she underwent a Grading Exam and was promoted to Red Belt level. With commitment, she knows by the end of the year she could be ready to attempt her Black Belt Grading. It’s an audacious goal but having it to focus on, she says, has helped significantly in finding her inner peace and happiness again. First off I would love to say thank you to the Pink Belt Scholarships which has been such an honour to be a part of. Because of your kindest heart I have now been able to get back to join the team at my Taekwondo classes. Actually doing what I always dreamed about. I will never thank each one of you enough who donated to the Pink Belt Scholarships. Because of you kindest hearted people helping some of us who go through financial difficulty, we have the opportunity to reach our goals in life and I am one of them. I’m so thankful for this opportunity and I will be forever grateful. I’m so glad and feel so good to be able to get back to doing Taekwondo and be able to work toward that Black Belt. Last week I passed my Red Belt. There was no words that can describe how happy and grateful I was. That means it’s now not far ahead to work towards that Black Belt that I want to achieve by the end of the year. And I wouldn’t ever be able to do it without Pink Belt Scholarships. This time last year I was under so much pressure. I had given up on doing something that I always wanted to do since I was young because of the difficulties. The group of people in the Taekwondo classes amaze me with the support they give each other. It’s shown me so much more about martial arts. And I personally love to say thank you so much to my training buddy. Thank you for showing me what a real friendship is and thank you for being there for me when I needed a shoulder to cry on and thank you for always supporting me. Doing Taekwondo was the only thing that really helped me through my hardest time. It makes me feel good about myself and confident for once in life. Now I can focus on what I want to achieve and work towards it. Please feel free to leave messages of support for Anaya in the comments below. Applications for Pink Belt Scholarships are currently closed. However the program will be launched again later in 2019. Pink Belt Scholarships: Apply Now! Fight for Change and the mystery of martial arts! Congratulations, Anaya!! It’s so great to hear that you’ve found support and relief through taekwondo, I also feel it’s a wonderful way of life and somehow it feels as long as we keep practising it, everything else in our lives will fall into place because of the power and peace it gives us. Best wishes always, thank you for sharing your story. Never forget your strength! Way to go, sister! You are a proud and strong fighter. From your story, I see perseverance and indomitable spirit! I will be cheering for you on your black belt test. Response to comments from Anaya: I want to thank you all for the beautiful words. It’s melted my heart to see all those comments. It means so much to me. Once again, thank you. I hope that my story and my experience can inspire others. It doesn’t matter what you are going through in your life there will always be a bright light in the end of the tunnel and there is always hope.